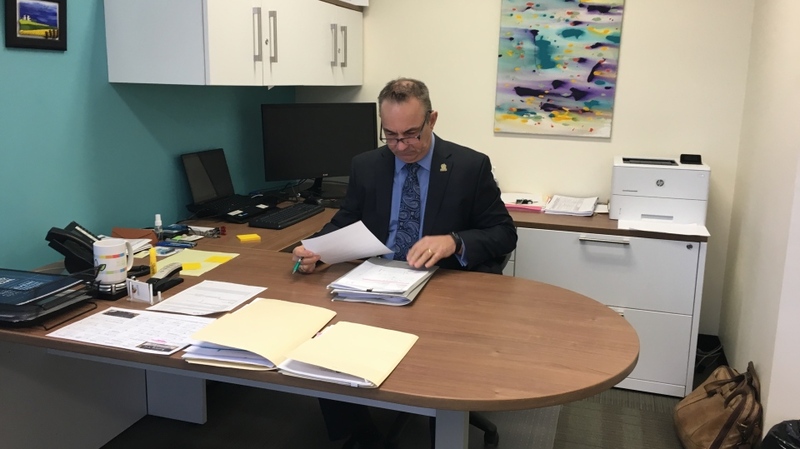 It's back to business as usual for Alan Stephen, CEO of Eden Care Communities, a day after one of his daycare centres was targeted by threats. “Our care partner team received a call from an individual who made some threatening comments to Eden Care Communities,” said Stephen. On Tuesday afternoon, six Regina daycares received threatening phone messages. CTV confirmed two of the daycares impacted. Both daycares wished not to be named, but are located in the Rosemont and Churchill Downs neighbourhoods. Staff put the building into lockdown, and police responded to each daycare. “Nothing bad came of it. And now we're trying to investigate where those threatening messages came from,” said Elizabeth Popowich with the Regina Police Service. At this time, police believe the messages came from the United States, but continue their investigation. This isn't the first time police have responded to threats made to a series of Regina businesses. In December, four businesses, including Wheat Country Motors, received bomb threats. The incident turned out to be a hoax. Police don't believe these two events are connected. “Because it's easy for people to communicate instantly with anyone, anywhere in the globe, these things happen probably with more frequency than they did even five years ago,” said Popowich. Moving forward, Stephen said the daycare is reviewing its policies, as doors are typically left unlocked during the day. “That's one of the procedures we'll now relook at, to (ask), “Should we put a locking device on it?” said Stephen. If you do receive a threatening message, Popowich said to take the threat seriously and contact police immediately.